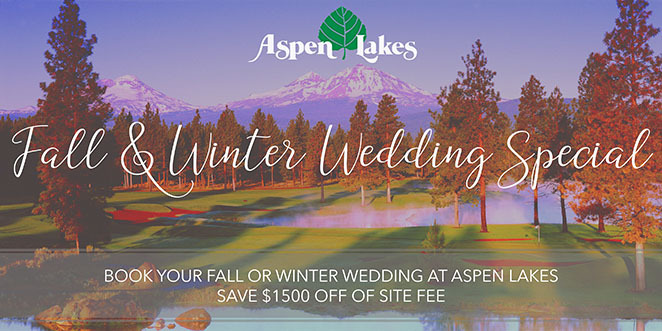 BOOK YOUR FALL OR WINTER WEDDING AT ASPEN HALL AND SAVE $1,500 OFF OF THE SITE FEE! Whether you are looking for an intimate setting for twenty, or a more formal wedding for 300, Aspen Lakes has it all. From rehearsal dinners to full weddings, its stunning views and magnificent clubhouse facilities make it a perfect location for your special wedding day. Contact Kelly today to book your wedding or event!